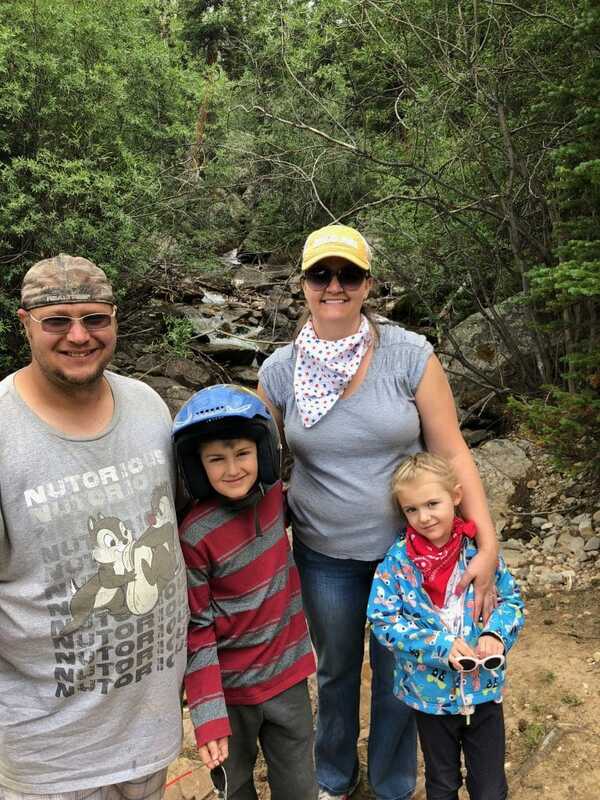 Three years ago my sister and brother-in-law were married in Leadville Colorado and they decided to celebrate their anniversary by inviting us up there to enjoy a week of fun family time. We spent time enjoying our new camper, taking naps, riding so many incredible trails, fishing and cleaning up the messes left by others. 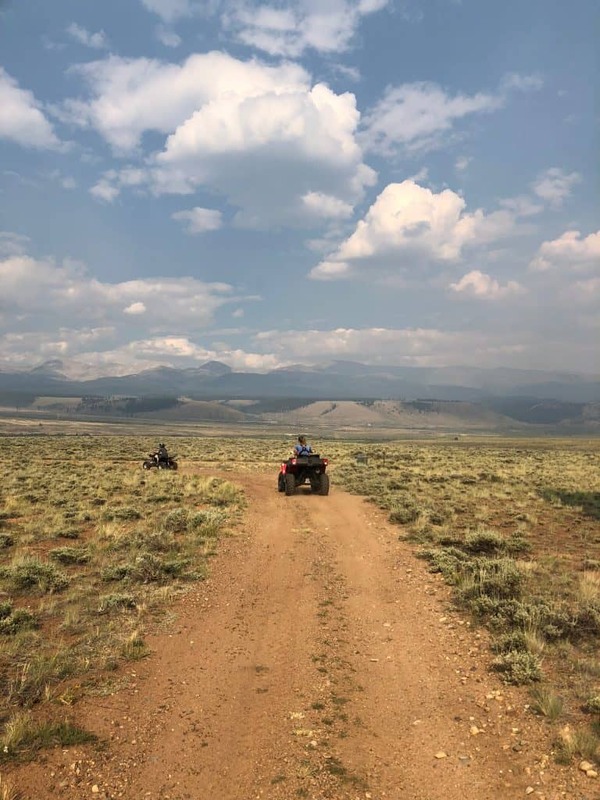 I thought I would share a little bit of how to experience Leadville, Colorado through they eyes of a native Coloradoan! 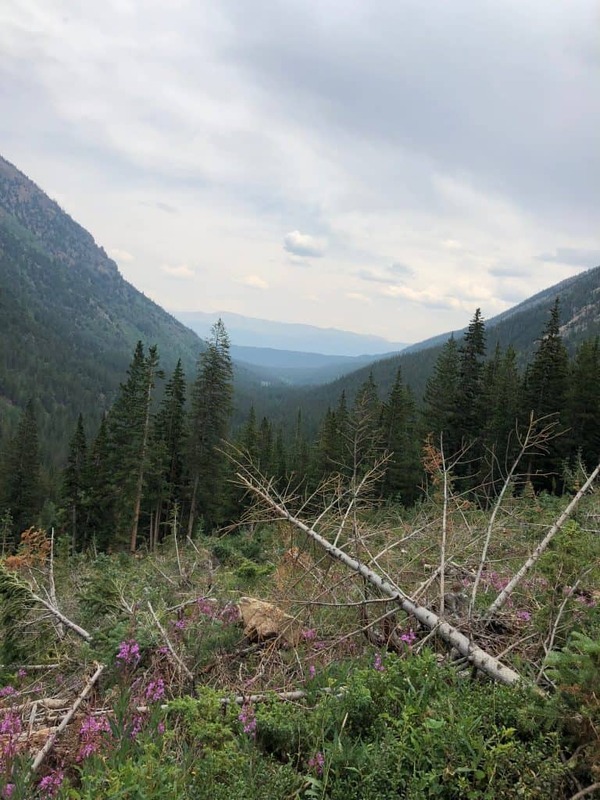 My brother-in-laws family owns some incredible property in Leadville. They also have enough ATVs for a small army. It was nice not to pack our own vehicles and to just head up with our camper and helmets. We did actually bring up my son’s small ATV for him to cruise around the camp because that is literally what he lives for. Taking on the trails was something we had to do. We hit the trails several times a day and were in awe every single day. Most of the trails that we drove were very mild trails and easy for even new riders. I will say that we went on one trail that was so crazy, I was screaming and laughing the entire time. At no point did I not feel safe, but there were points that I was completely taken back by how much rock crawling we were doing. There was always something new for us to see or do, that took our breath away and random experiences that we never expected to happen on those trails. Case in point. On our first day out on the trails we ran into an old horse ranch farmer who promptly had us follow him to his ranch and hang with his horses. From palominos, to mustangs to gorgeous paints, my children were able to pet and feed these amazing animals. 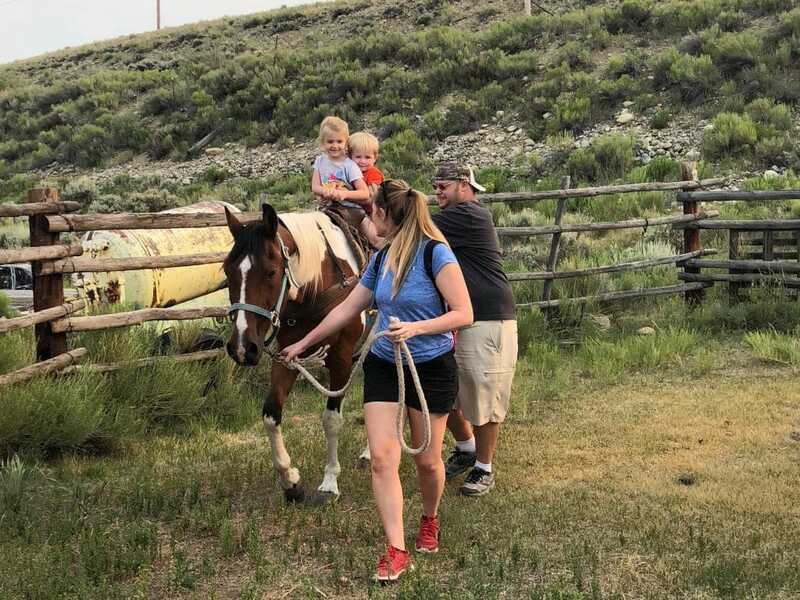 My sister and I grew up riding horses and long for those days still, so when our kids are able to experience just a taste of our childhood it is so incredible. Then the nice man taught my husband how to saddle a horse and had him take our children around a corral for some rides. 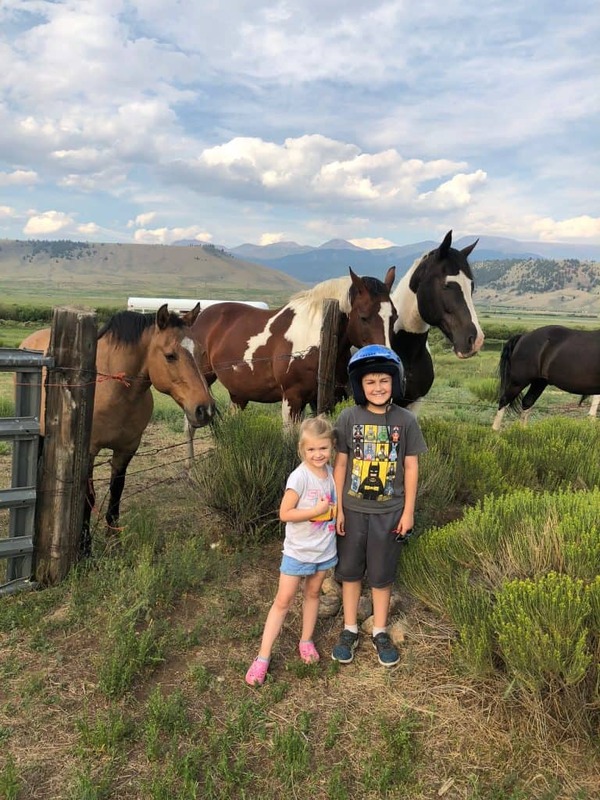 Our son was NOT interested in riding the horses, but our daughter was in her element. It was awesome. My nephew couldn’t be left out and had to jump on too and was smiling from ear to ear the entire time. What a magical experience for all of us! As the evening began to sat in, so did the smoke from the wildfires in Colorado. The smoke clouds the sun and emits this stunning orangish pink color that is so gorgeous but so sad at the same time. 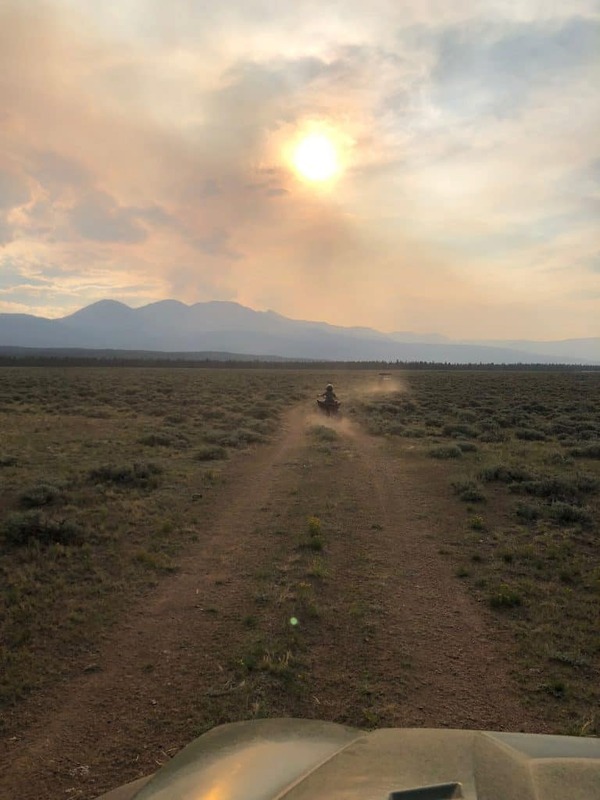 Wildfires are natural occurrences (unless someone careless causes one) and are necessary to the health of the ecosystem, but it also means loss of habitat, loss of homes and loss of life (animal and human alike). Each evening came with these sunsets and good discussions with our children about taking care of our home state. Those trails were great conversation starters for lessons that are so important to have with kids. So I grew up fishing. I am terrible at it. 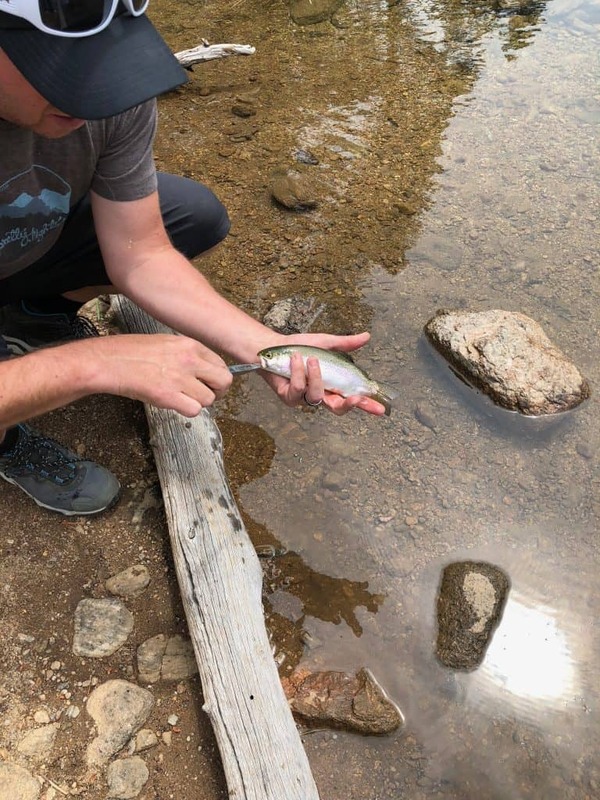 I enjoy it when I am catching something and I enjoy seeing how far I can cast, but I do not and WILL not kill a worm or a fish (or any other living animal) so that makes it an activity that I limit myself on. My husband on the other hand could live on a lake and fish every single day. It was only natural that we would hit up the many lakes in the area for some light fishing. Our first stop was Turquoise lake which turned out to be a terrible experience. It was so stunning and beautiful, but full of rocks and I kept getting our line stuck and was just not enjoying my kids during the witching hour before bed. My husband was frustrated that he was setting up poles for all of us and never really got to fish and that our kids were complaining because they were tired. We caught nothing the first trip out. 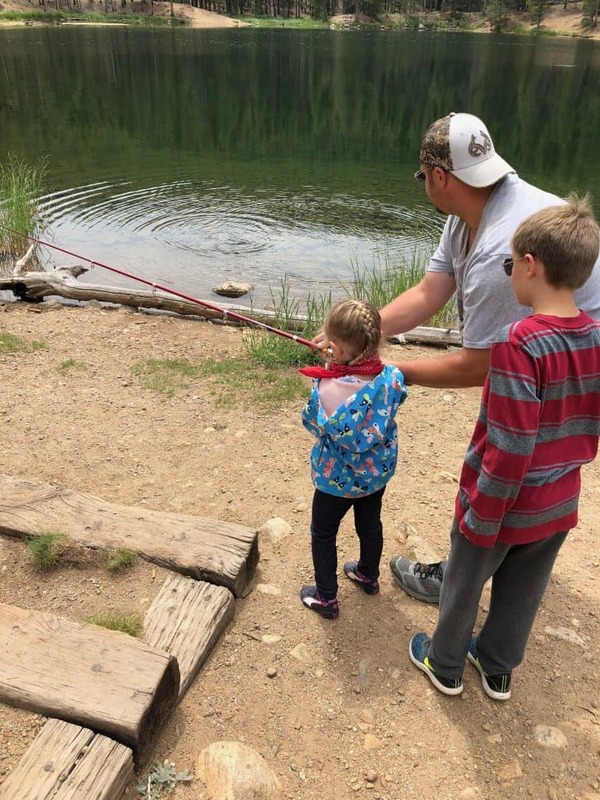 However, on the trails the next day, we stopped by Emerald lake and my brother-in-law grabbed a couple fishing poles and some worms and the family went to work! 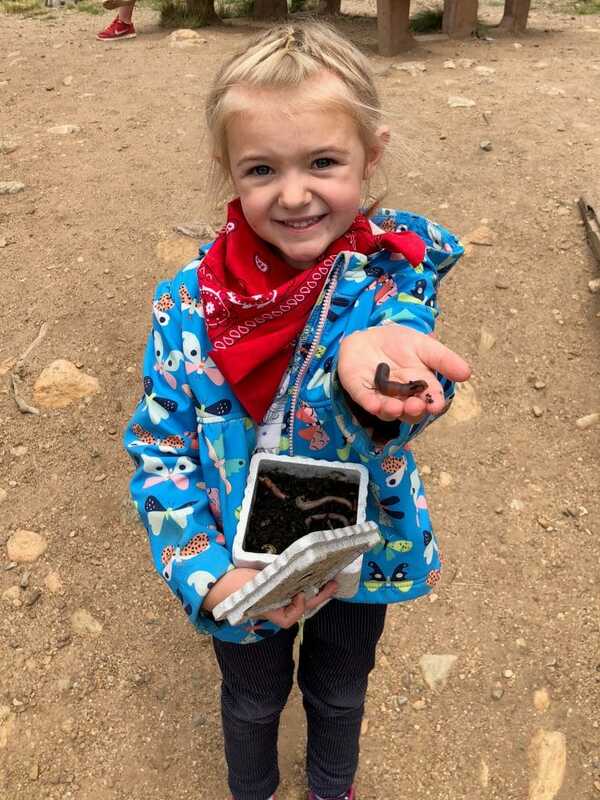 Our little girl was absolutely obsessed with the worms and played with them for a good majority of the time. The fishing paid off! The family reeled in 2 fish (each kid was able to bring one in) and we had about 6 on the line. It was the first time our daughter had every brought in a fish and she was so happy. I was just glad that we did catch and release and the fish happily swam off. 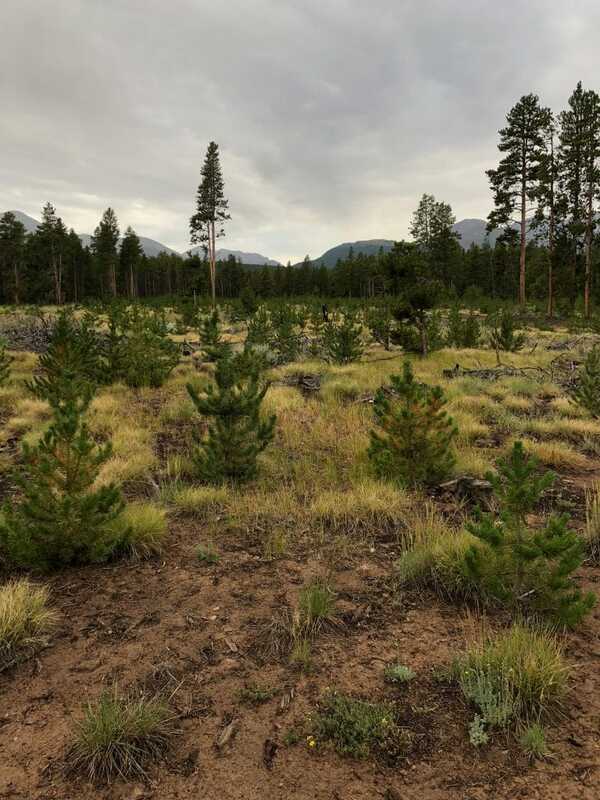 A motto you will see all over Colorado is “leave no trace”. This means pick up your trash, make sure you are following fire regulations and put those fires out dead, take nothing and stay on trails. It is so important for anyone visiting our state and the mountains to follow that motto. We spent a lot of time in Leadville modeling those behaviors and teaching our children to leave no trace. The ecosystem is so stunning and constantly in flux. Trees fall as they die, decomposers work to renew the forest floor and break down the fallen materials, animals feed, plants make and use oxygen and so much more. Explaining these processes and succession to my children was awesome. We stayed on the trails and allowed them to experience the Earth and ecosystem as it stands. We came upon a beautiful pine tree nursery that was naturally created. It was clear that prior to these baby trees popping up that there had been a fire and the forest was renewing itself. It was one of the coolest things I had ever seen. In addition, we also saw remains of many animals and discussed the circle of life and predator prey relationships. Of course the most important lesson we taught our children was to leave no trace. While on the trails we frequently would have clean up trails where we went down the trail slowly and picked up trash left by others. My kids were very into this and I was so proud of them. 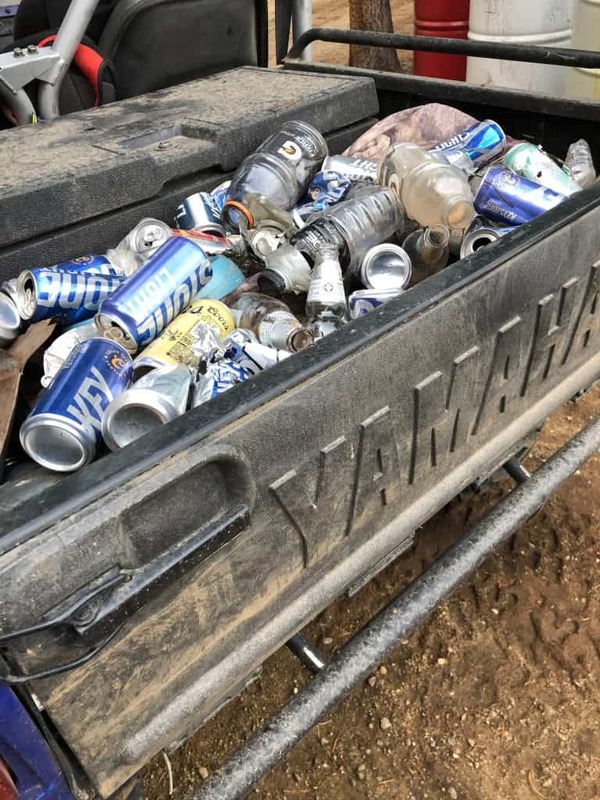 I was astonished at how much trash we picked up (on private property that was clearly trespassed on) in just about 2 miles of trails. If this is what we found, imagine how much is scattered throughout our beautiful Rocky Mountains. I urge you to pick up that trash and clean up after yourselves and teach your children to do the same. We have one Earth people. Our week was packed with quality family time, lessons and experiences that we will all remember for years to come. I say this all the time, but we are so lucky to call Colorado home. Leadville holds a special place in our hearts because it was the start of my sisters family and people that I truly cherish. 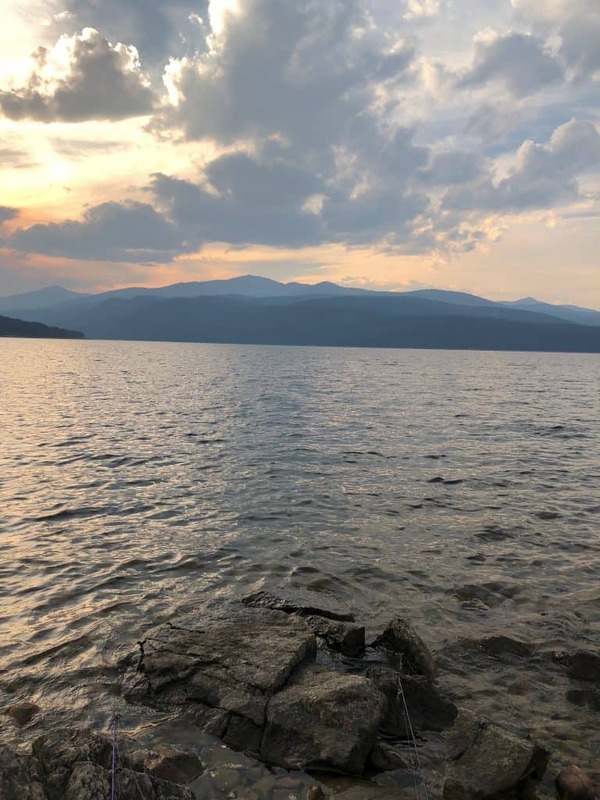 Have you ever visited Leadville, Colorado?